Who Wouldn't Want To Worm Their Way Into Chito's Lone Star Low-Low? Fidel “Chito” Garcia is one of the lucky few who are able to find nice, clean cars just by keeping their eyes open. One day, while cruising Fort Worth, Texas, in his Chevy Caprice dubbed “Harley,” Chito stumbled on this ’86 Caprice Classic just sitting in a driveway with a “for sale” sign on it. The car had been sitting in the same place for three years collecting dust and aging in the hot Texas sun. Chito decided to pick up the car and add it to his collection. 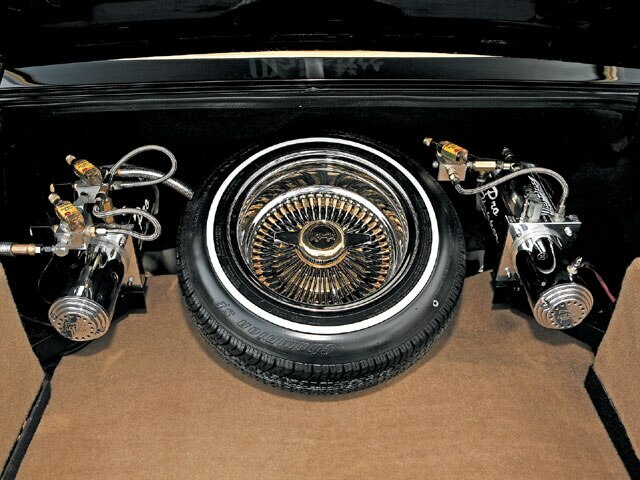 “Since I already had a lowrider Caprice, this one had to be different,” Chito explains. “So I designed the patterns and other modifications for the car, and took it to the appropriate shops.” With more than one car build under his belt, Chito has some connections and he began calling all of the people that he knew in the lowrider community and started to gather info and opinions from fellow lowriders in the Dallas-Fort Worth area. Chito went with a two-tone black and gold mix with a little bit of ghost graphics on the car just to accent the body lines. Being a member of Majestics C.C. 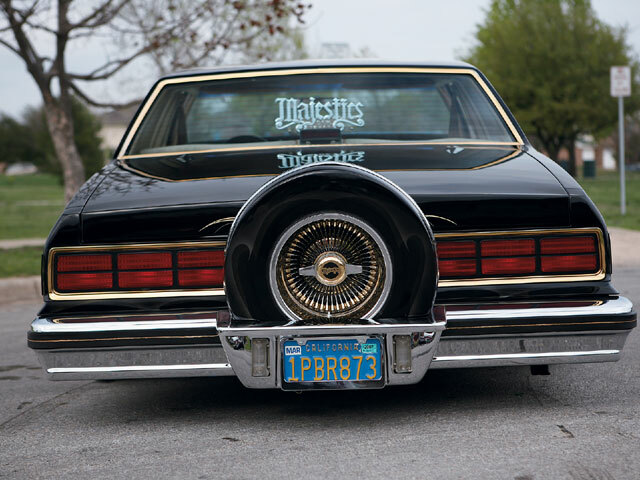 de Dallas, there were a few standards that needed to be met for the car to be able to fly the Majestics plaque, and Chito didn’t hesitate to build a one-of-a-kind lowrider. 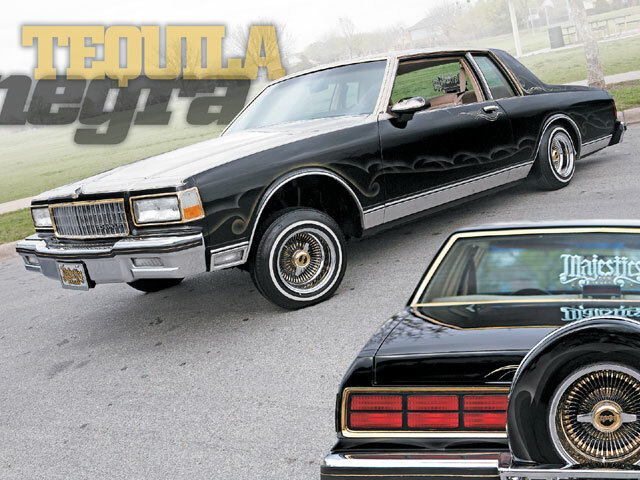 “Tequila Negra” has started to have a strong effect at lowrider shows all over Texas, and is now one of the cars that people enjoy seeing. 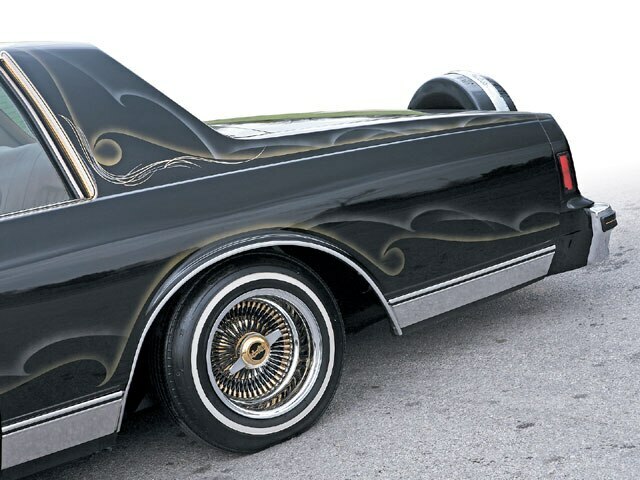 Fidel would like to extend his thanks to his family and friends, as well as all of the people in the lowrider community for their help in distilling one intoxicating lowrider. Engine/Drivetrain: A rebuilt ’04 Chevy 350-c.i.d. engine packs plenty of punch. Body/Paint: The front header panel was replaced and the car was painted two-tone Jaguar Black and gold with ghost patterns. The extensive modifications and paint were done at Ricardo’s Paint Shop in San Fernando, California. 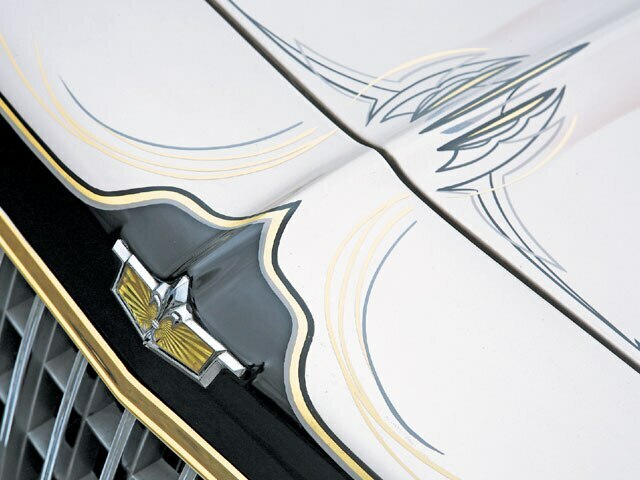 The car was also accented with chrome and gold courtesy of “Big Fred” and “Chinaman” at 805 Customs in Moorpark, California, and Texas Gold in Fort Worth. 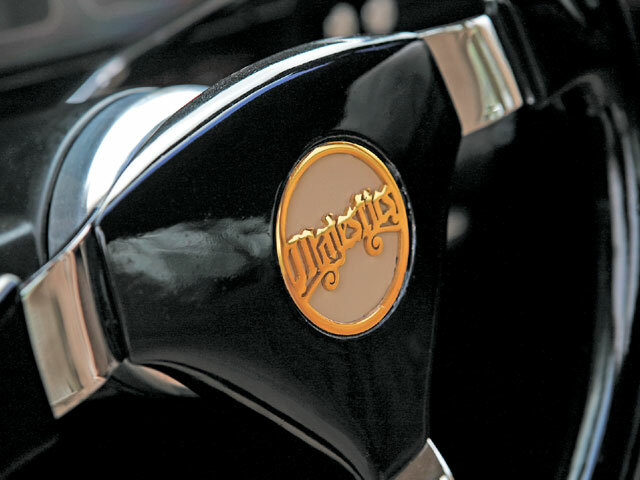 Interior: The seats were redone in black and gold by Jeff at Iron Horse in Simi Valley, California. Sound System: Chito installed a Clarion head unit and amps to send the sound out to Kicker tweeters, mids and subwoofers. Setup: The hydraulics setup was custom built by Big Fred and Chinaman at 805 Customs using two Pro Hopper pumps, 8-inch (front) and 10-inch (rear) cylinders, and six batteries for juice. The abuse caused by the hydros is offset by modifications to the frame and reinforced stress points.